Stop & Shop Weekly Ad February 8 - February 14, 2019. Happy Valentine's Day! 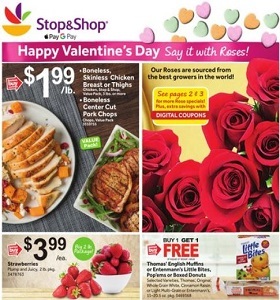 Stop & Shop Weekly Ad February 8 – February 14, 2019. Happy Valentine’s Day! -$9.99/lb Beef Tenderloin Roasts or Steak; $4.49 Sarabeth’s Preserves.